Now in its sixth year, Federation’s Jewish Incubator Grants Committee awarded $56,600 to nine organizations that make a difference in Miami. With an eye toward developing innovative and impactful programs, the 2019 grant recipients enrich our local Jewish community by providing a safety net for the vulnerable, strengthening Jewish identity and building community. Committee Co-Chair Edward Beiner, Alexandra Lehson and several committee members dedicated countless hours to reviewing the proposals and funding those programs that enrich Miami’s Jewish community. “Co-chairing this committee has been an incredible experience for me, and served as an important reminder about just how crucial the funds we raise are and the immense impact a small group of dedicated people can make,” said Committee Co-chair Lehson. The diverse organizations included programs that engage local Jewish LGBTQ leaders, give patients at Nicklaus Children’s Hospital the opportunity to observe Shabbat with Shabbat kits, provide companionship for the elderly in South Dade and more. 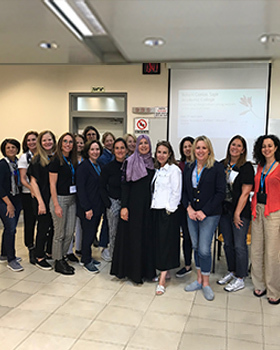 “These innovative programs, funded by the Jewish Incubator Grants Committee, highlight Federation’s support for the needs of our community, now and in the future, and establishes Federation as a visionary organization that drives impact through local programs,” added Committee Co-chair Beiner. • A Wider Bridge: A Wider Bridge South Florida engages South Florida LGBTQ Jewish and non-Jewish leaders and their communities with Israel, LGBTQ Israelis, and the Jewish community through leadership missions and impact grants. • Chai Lifeline: I Shine SE is an after-school program for elementary- and middle-school-age children impacted by their own serious illness or that of a family member. The program provides support in three critical areas — emotional peer, and practical — through a positive environment and activities. 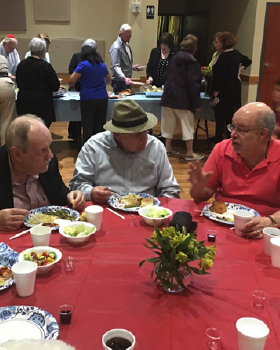 • Conregation Dor Chadash: Shabbat Dinner Club for Seniors of South Dade provides Jewish seniors with a program to reduce isolation, improve health outlook and outcomes, and make them feel part of the community. This year, the program will expand by adding a Senior Skills Club where experts teach life skills paired with Jewish tradition. • Friendship Circle Miami Beach and North Dade: Friendship Circle Camp, a week-long camp held three times a year, includes action-packed experiences giving campers and volunteers an opportunity to bond and enjoy a spirited camp environment. • Miami Beach JCC: J-Tech engages middle-school students in science, technology, engineering and math (STEM). The program teaches Jewish values, identity and traditions through the STEM components of coding, computer-aided design and 3D printing. • Michael-Ann Russel JCC: Ya Za Moot (Entrepreneurship) provides teens ages 15-18 with the opportunity to develop creative and innovative thinking through entrepreneurial projects and business plans. 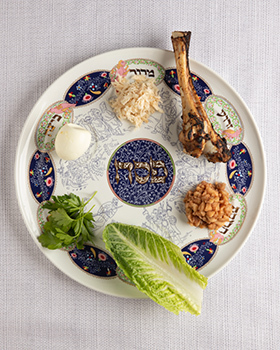 • Nicklaus Children's Hospital Foundation: Shabbat Kits will provide comfort through tradition by giving inpatient Jewish families the opportunity to observe and preserve Shabbat. • Temple Beth Am: Recovery Through a Jewish Lens is a multifaceted initiative combining awareness, education and support to end the stigma in the Jewish community around addiction. The program will educate the Jewish community about addiction as a disease and support those in recovery and those affected by addiction all in a Jewish spiritual context. • Yodeah, Inc.: The “Did You Know?” initiative provides educational outreach programs and on-site, low-cost, saliva-based genetic testing for BRCA genes and other hereditary cancer mutations in the Jewish community. Funding for 2019 grants is provided through Annual Federation/UJA Campaign. Organizations and agencies seeking incubator grants may inquire about next year’s grant cycle by contacting Federation’s Outreach and Engagement Associate, Flora Akselrad at 786.866.8498 or fakselrad@gmjf.org for information about next year’s application cycle. 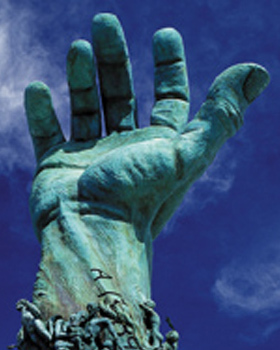 The Mission of the Greater Miami Jewish is to mobilize human and financial resources to care for those in need, strengthen Jewish life and advance the unity, values and shared purpose of the Jewish people in Miami, in Israel and around the world.